The two hundred plus native brushfoot species (family Nymphalidae) represent approximately thirty percent of the total number of North American butterfly species. Odds are that the orange colored garden butterflies belong to the family. Do any of the orange wings butterflies in the video clip look familiar? Don’t worry, it’s not a pop quiz. Of course, the amount of garden butterflies in any particular garden depends on the type of butterfly garden planted, or the types of flowers used to attract butterfly species. Some common garden flowers, such as asters, are larval hosts for species such as Crescents. In addition to garden stories, the family’s large size translates into an abundance of butterfly travel stories, from tales about long range migratory species such as Monarchs and Red Admirals, to updates on the mass migration patterns of species such as American Snouts and California Tortoiseshells. Somewhere along the way the story of the brushfoots gets retold as the four legged butterflies because of the reduced size of their front legs. Formally, brushfoot taxonomy changes as advancements in genetic identification methods improve. For convenience, a good starting point for identifying common garden butterflies in the United States starts with organizing them into ten different subfamilies. The top picture shows an American Snout (Libytheninae). 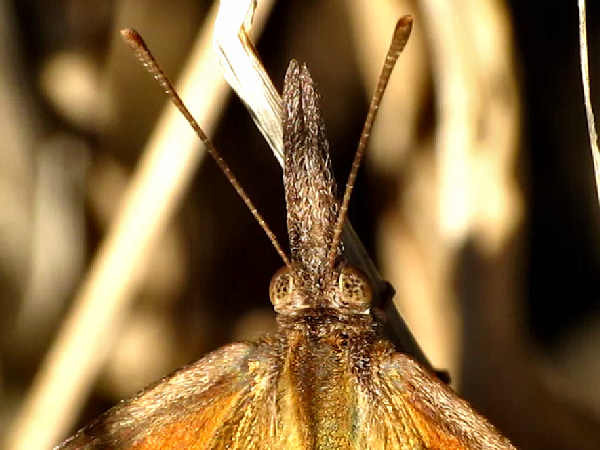 Identify the snout butterflies in the garden can be as easy as looking for a medium sized butterfly with burnt orange to brown wings and a large nose. The American Snouts is the only representative of the subfamily found in the United States and its range is limited to the southern areas. The remainder of this article provides an overview of the ten brushfoot subfamilies. Please press the button under each of the headings to explore more information covering butterfly pictures and species in each of them. For most Americans, the true brushfoots represent the average garden butterfly. 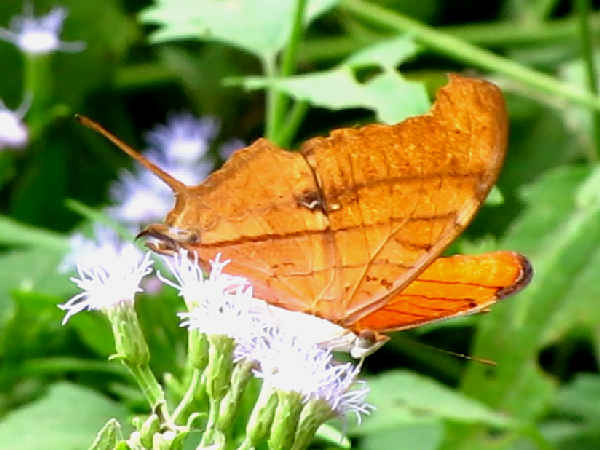 Most true brushfoots sport orange color wings and come with common names such as comma butterflies, crescent butterflies and checkerspot butterflies. Typically the checkerspot nickname applies to species in five different genera. 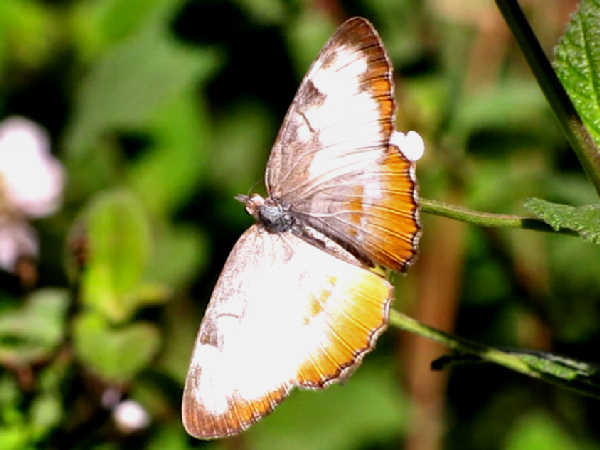 The Chlosyne genus, which also includes the patch butterflies, a group without a checkerboard wing pattern. Twenty separate Chlosyne species, going by the name checkerspot or patch, find a home on North American soil. Chlosyne checkerspots tend to have a northern range while patches tend to range across southern environments. Additional genera, such as the three Junonia species, collectively called buckeyes, call gardens around the United States home. 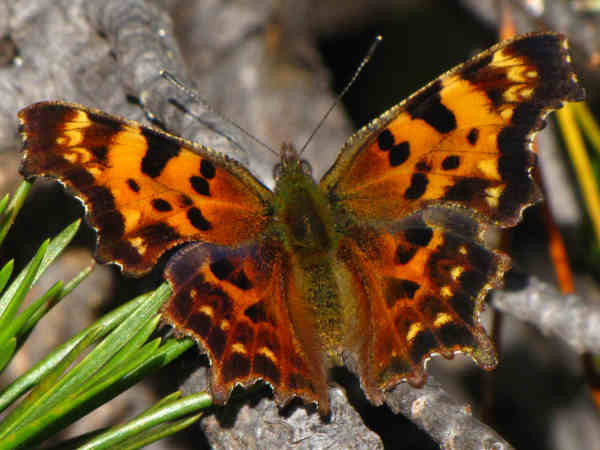 Tortoiseshell is the common name given to brushfoot butterflies in two genera, Aglais and Nymphalis. 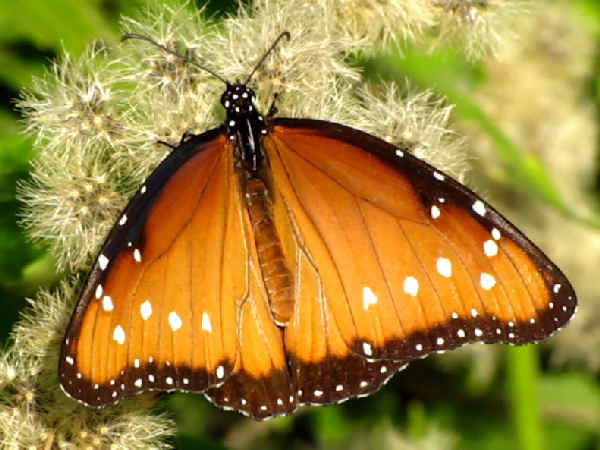 Most people rightfully think Monarch butterfly when they think milkweed butterflies. The larval forms of all three species in the genera feed on milkweed plants. The picture shows a top view of the Queen’s wings. A lack of dark veins differentiates it from the Monarch. Please press the Milkweed butterflies button to learn more about all the species in the genus. Heliconilnae consist of two different types of butterflies. 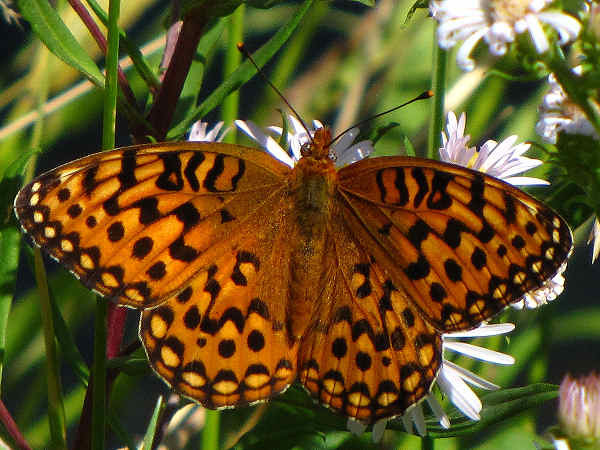 Fritillaries, the dominant group within the Heliconiinae subfamily, basically split between the Speyeria (greater) or Boloria (lesser) genera, depending on wing size. Different species live in most forested areas of the United States. The longwings display long, narrow wings and their range is limited to the southern areas of the United States. Formally called Limenitidinae butterflies, the subfamily better known as Admirals helps them stand out in a crowded butterfly field. 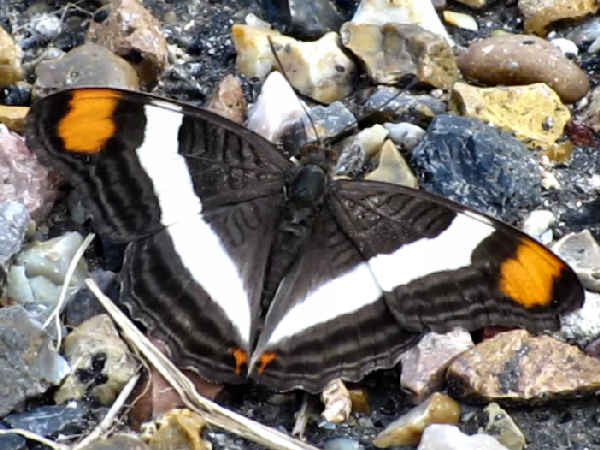 Using the formal language of taxonomy, the subfamily divides into two genera or three genera, depending on the source: Sisters (Adelpha); Admirals (Limenitis) and Daggerwings. Popular butterflies, four sisters (genus Adelpha) grace the fields and forests of North America and the White Admiral or Red-spotted Purple (Limenitis arthemis), for example, was recently voted New York’s state butterfly. Please press the Admiral butterflies button for additional butterfly pictures and information. Satyrs and Wood-Nymphs represent the non-orange colored brush-footed butterfly family. For individuals not familiar with the genera, their brown color might be a clue to initially identify them in the skipper family. Fortunately, the presence of eye spots make members of the Satyrinae family fairly easy to identify. Approximately fifty different species, divided into fifteen different genera, inhabit North America. Half of those species belong to either the Erebia genus commonly called the Alpines, or the Oeneis genus, commonly called the Arctics. The North American Butterfly Association (NABA), documents six native Emperor species (Apaturinae subfamily). Collectively their wing patterns resemble the wing pattern of the butterfly in the picture. Wing color tends to change. 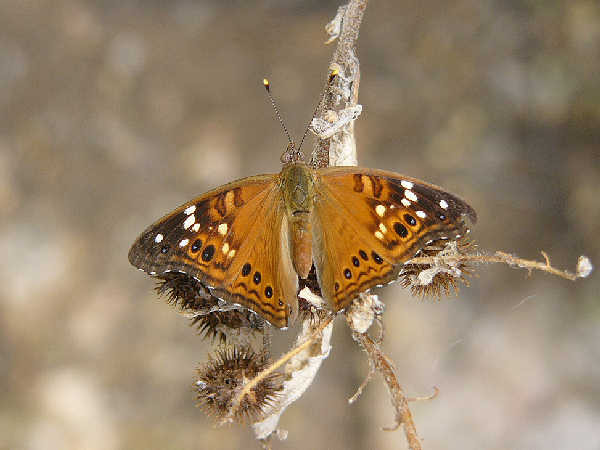 The Tawny Emperor (Asterocampa clyton) flies through most of the Midwest and East. 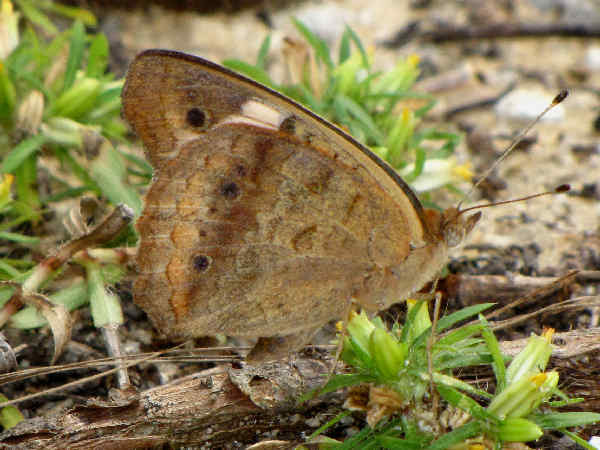 Its lighter color wings (compared to the Hackberry Emperor), along with white spots on the forewing also differentiate it from the Hackberry. The species is fairly common in the Eastern part of the United States, and the caterpillars can be found on leaves of different types of elm trees. Nine genera of tropical brushfoots, subfamily (Biblidinae), make an appearance in North America, with Texas and Florida serving as the primary host states. The picture shows a Common Mestra (Mestra amymone), the only native North American Mestra species. It flies regularly from South Texas through South, with occasional northward migrations to lower Midwest states. An average sized butterfly, with a very distinct orange patch on the bottom of the wings, makes it difficult to misidentify. 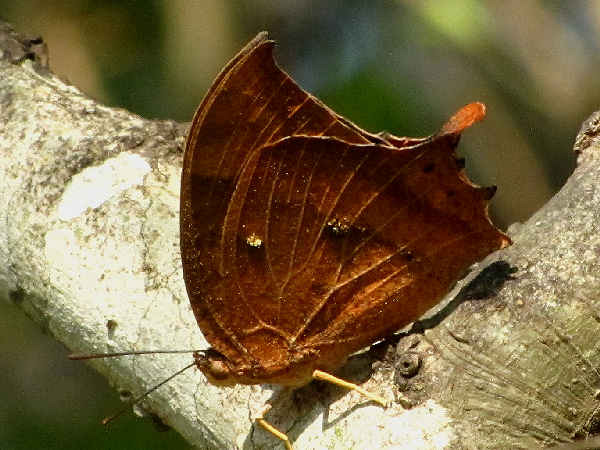 One look at the picture explains the name leafwing butterfly. As a group they tend to be large sized with some shade of orange wings. When the wings are folded, the camouflage of the wings kicks in and the butterfly looks like a leaf. The Daggerwings subfamily (Cyrestinae) has a very limited presence in the United States. The three speciees are all southern. The picture shows a Rudddy Daggerwing, the most common of the three species and found in South Florida and South Texas. The picture shows the long tail. Given their limited distribution, it’s always a pleasure to see one.